Depending on the type and intended purpose of the timepiece, its case will contain various functional materials and should be aesthetically pleasing with a harmonious design. 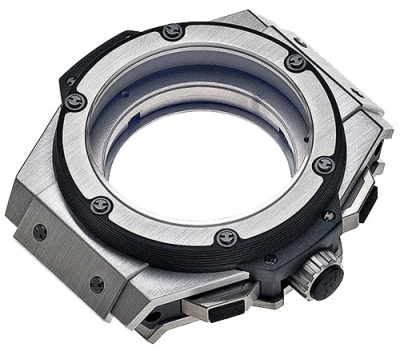 A watchcase may look simple, but its job is highly complex. No matter what the situation, the case protects the delicate movement from external influences such as heat and cold, or water and dust, as well as against shocks and impacts. 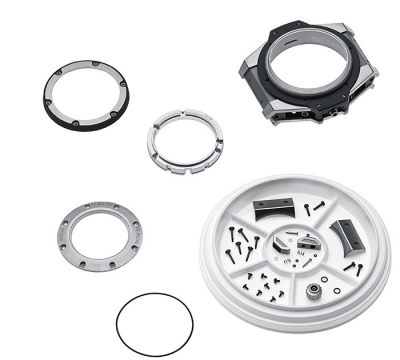 You will go through the various stages of dismantling a case from the HUBLOT KING POWER chronograph line into its main parts. Models will help you to understand exactly how the various parts fit together.